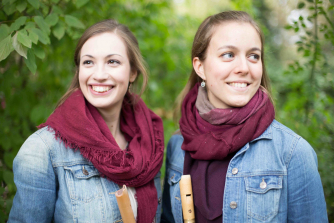 Winners of this year's Chiltern Arts "Take Note" competition for young ensembles, Baroque Trio Flauti d'echo come to the beautiful Hughenden Parish Church, located in the grounds of Hugenden Manor. They will be perfoming a programme exploring the variety of colours that emerge when one musical line traces in the exact footsteps of another, including works by Handel, J.S. Bach, Purcell and Telemann.